Indeed! Another fine experience to witness to ‘The Art’ made by school children. It’s true that art appreciation is highly subjective, but the aim of evaluating a painting is not simply to ascertain whether we like or dislike a painting, but WHY we like or dislike it. 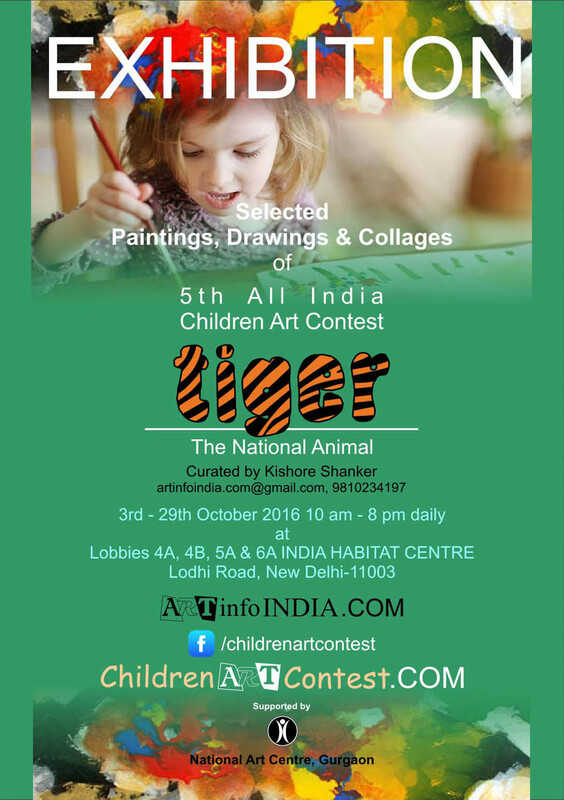 The entries for the 5th edition of All India Art Competition for school children titled “Tiger-The National Animal”, organized by ARTinfoINDIA.COM, largely fulfil the competition’s requirements. Tiger- The National Animal 5th All India Art Competition for school children brings together more than 2600 budding artists of various academic groups from different states of India. The creations made by children compliment to the theme of the competition as one can clearly see the purity of heart and mind in all the entries received. While looking at the paintings/drawings/art works/collage submitted by school children, it was quite tough to decide the winners, as the entries not only visually appealing but convey the feelings of budding artists. 500 entries have been selected by the jury and recommended as Merit. As the jury was primarily made up of 7 people comprising of artists/art critics/photographers, so, we were looking for cutting edge, new, different, innovative and well-crafted works. After all, assessment of a painting/drawing produced by a 6-year old child is likely to be quite different from a similar drawing by a 40-year old artist. We congratulate the winners and their parents/school heads/art institutions and art teachers. Best wishes to all the participants.